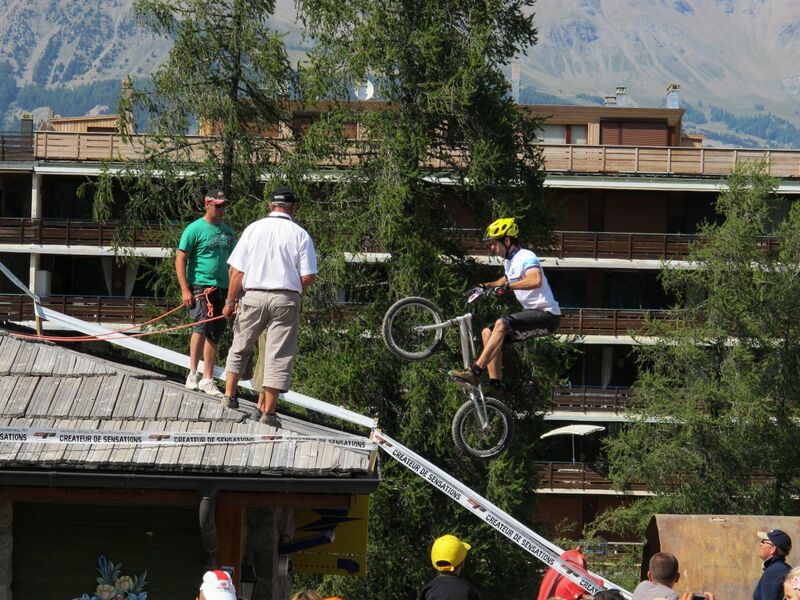 The pedal up, also known as the "pedalled bunny hop", is a nice controlled way of climbing on precise edges without much run-up distance. 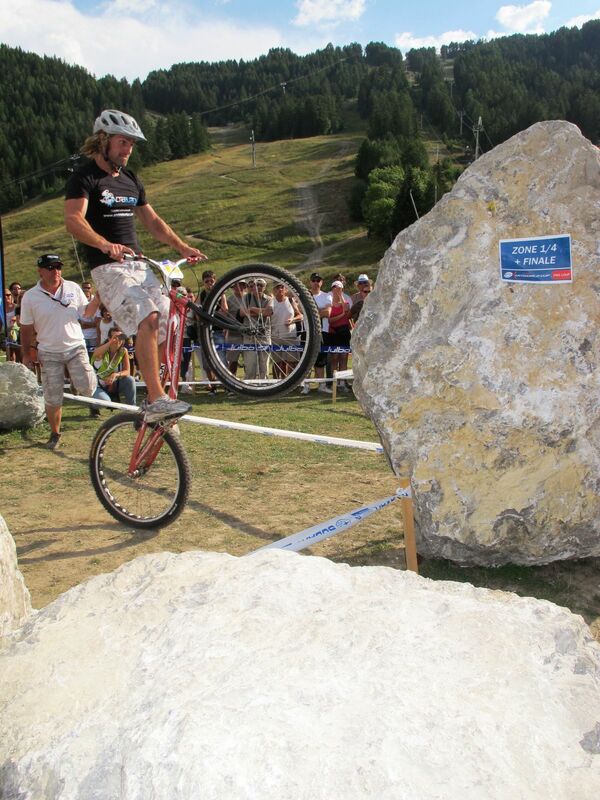 Giacomo Coustellier pedals up a large boulder. Benito Ros pedals up over a large gap. 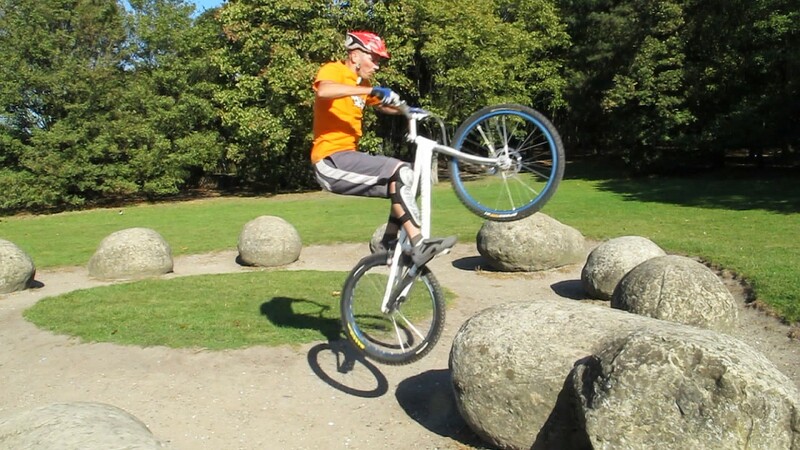 By assisting the front wheel lift with a pedal acceleration, you gain much more control than what a "pull-only" bunny hop can offer and this makes it easier to stay in balance when landing on the obstacle. 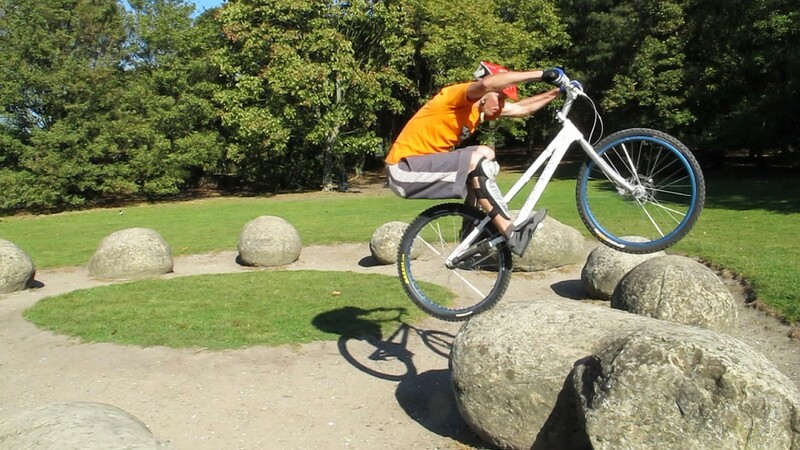 This technique can also be interpreted as a rolling pedal hop with more emphasis on the upward impulse during take-off, pulling up on the handlebars and tucking your knees to lift the bike up onto the obstacle. 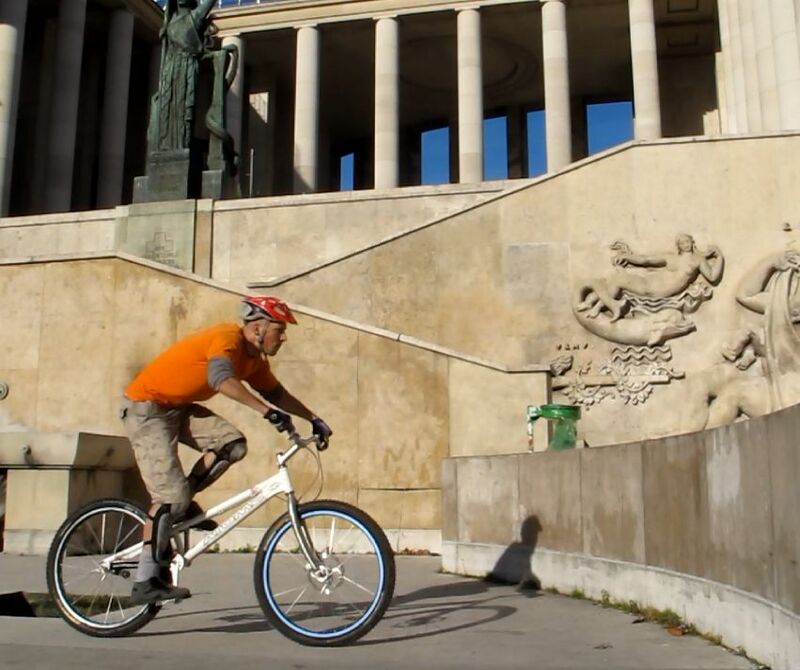 In a horizontally optimized rolling pedal hop, you should maintain the front wheel as low as possible over the ground to gain extra torque during the final acceleration and thus cover a longer distance. 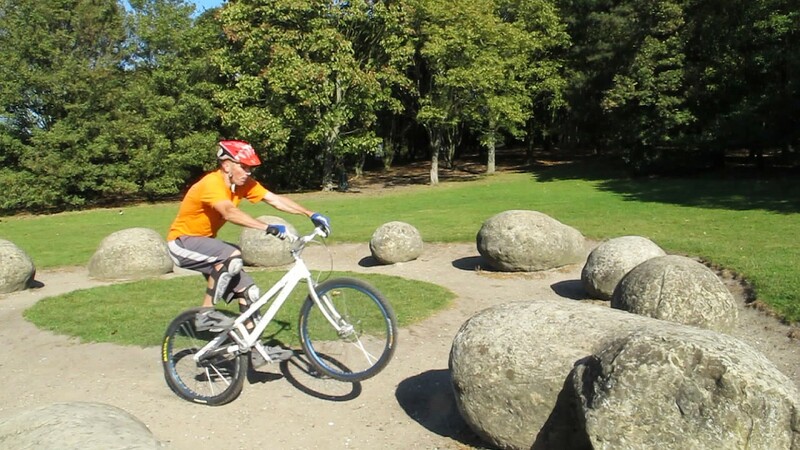 Meanwhile in a pedal up, you should progressively lift the front wheel and aim it at the top of the obstacle so that the tyre doesn't bump into the obstacle when you accelerate and jump. You should focus on bringing the bike in front of you like in a bunny hop, which means that before take-off, you will be crouching more and compress the tyres for extra bouncing effect to boost your pedal up extension. 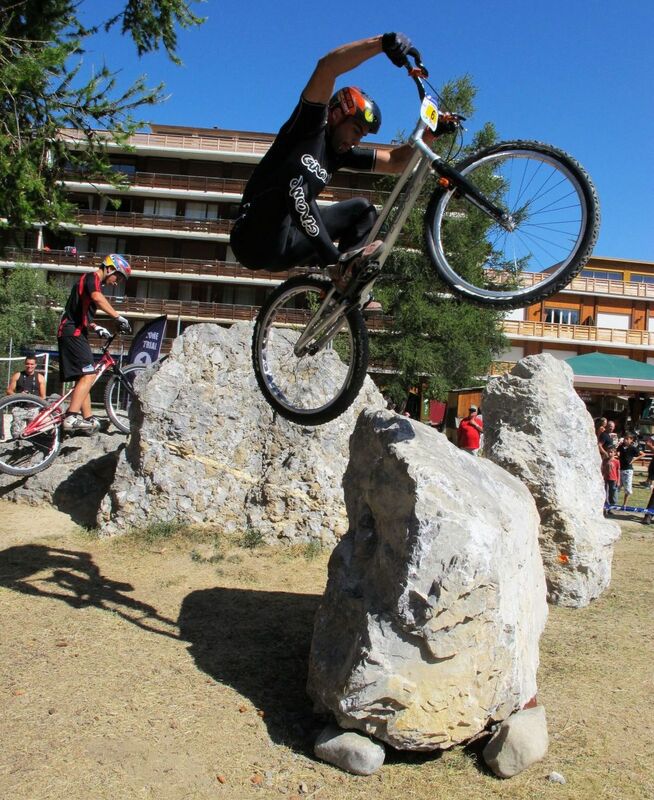 Andrei Burton accelerates and springs up into a full extension. From a trackstand position, ride the first quarter of a crank turn on your strong foot to set the bike into motion and crouch progressively. Follow up with the second quarter turn on your lazy foot, leaning back and pulling on the handlebars to aim the front wheel at the obstacle. 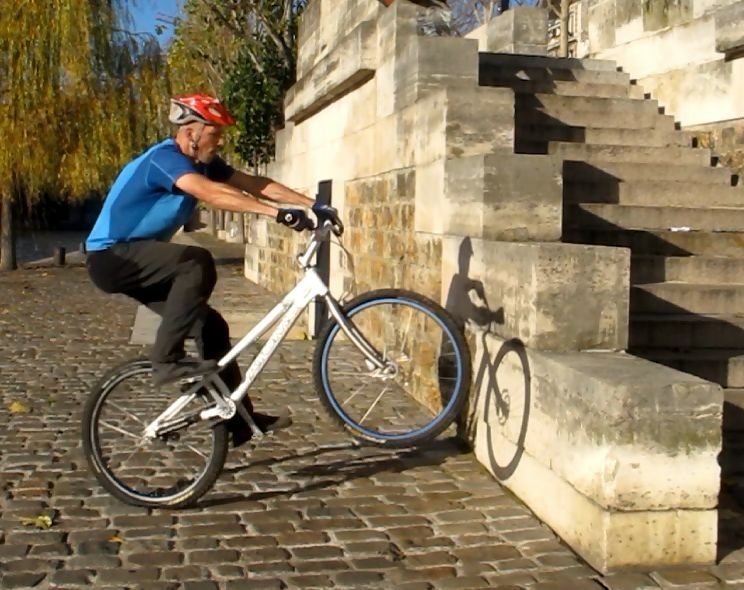 Push on your lazy foot and stay low to lift the front wheel up. Accelerate the move on your good foot again, springing up into a full extension while kicking on your good pedal to initiate the jump. 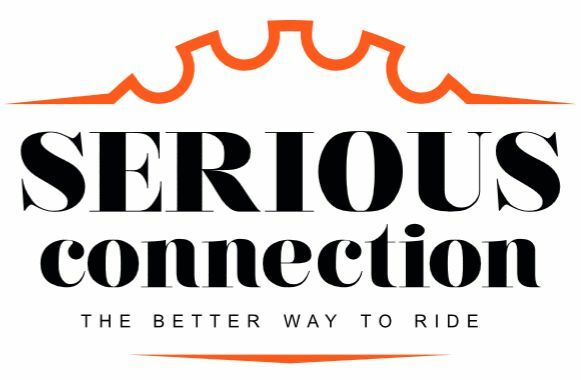 Pull up on the handlebars and thrust the bike high up in front of you while tucking your knees up, aiming the rear wheel at the obstacle. Lock both brakes before the rear wheel touches down to avoid a nasty crash on your back and flex upon landing to damp the impact smoothly. 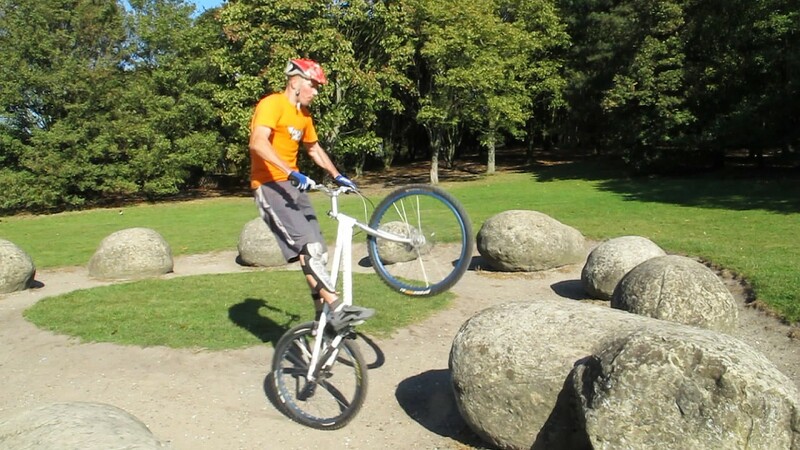 Let your own momentum tilt the bike forward until you can balance over the rear wheel. 1° From a trackstand position, ride the first quarter of a crank turn on your strong foot to set the bike into motion, crouch progressively. 2° Follow up with the second quarter turn on your lazy foot, leaning back and pulling on the handlebars to lift the front wheel. 3° Accelerate the move on your good foot again, springing up into a full extension while kicking on your good pedal to initiate the jump. 4° Pull up on the handlebars and thrust the bike high up in front of you while tucking your knees up, aiming the rear wheel at the obstacle. 5° Lock the brake before the rear wheel touches down and flex upon landing to damp the impact smoothly. 6° Let your own momentum tilt the bike forward until you can balance over the rear wheel. Stay low as you approach the obstacle, before the jump. 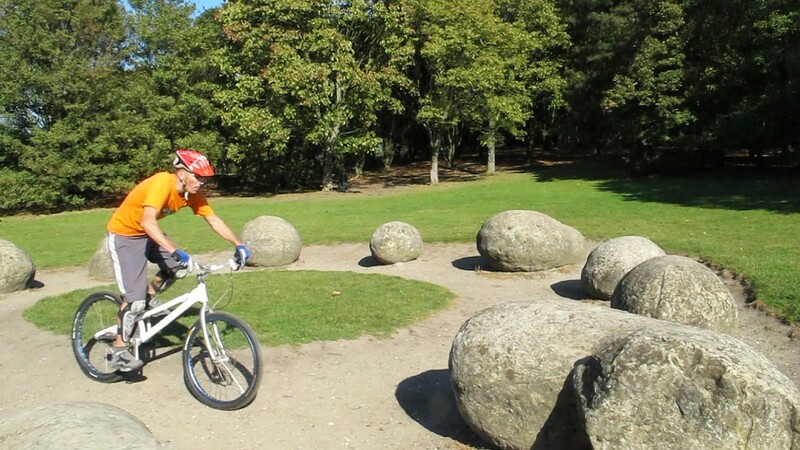 The most difficult part in all the rolling techniques is to evaluate correctly the run-up distance to the obstacle and translate it into the appropriate pedalling sequence. In some cases, you may have to abbreviate the pedalling, hence increase your body language to compensate for the lack of momentum. Even with all the run up distance you want, optimising jump height is often in contradiction with speed, and varying speed makes it more difficult to evaluate the right timing for take-off. 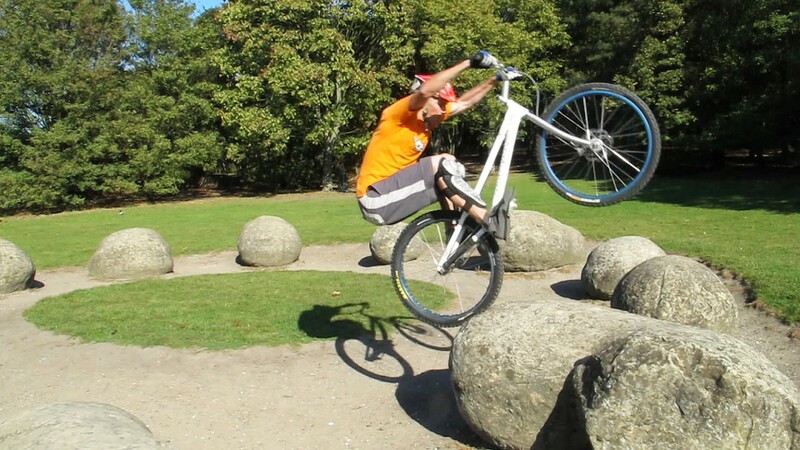 When the rear wheel reaches the obstacle, try to stay supple and absorb as much of the impact as possible. Landing too rigidly on your legs will bounce you off the obstacle or reduce your momentum before you have a chance to find the right balance point. As the bike tilts forward again, you will be able to adjust your posture. If need be, hop on site to position the rear tyre correctly for your next move.